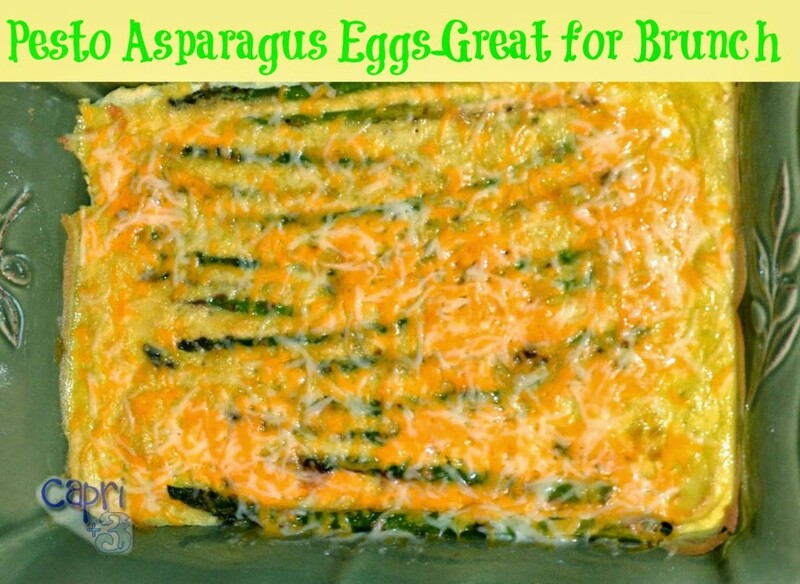 The Sugar Snaps are big fans of eggs and have recently developed a reverence for asparagus too. So, I decided to combine their two loves and it was quite a hit. The nice thing is that it is really easy and would be a great brunch dish. The asparagus really adds to the flavor and appearance. Preheat oven to 350 degrees. Combine eggs, 1 cup of cheese, 3 tablespoons of pesto and milk in the blender on high speed until it is frothy and the cheese is indistinguishable by sight. Spray the 9 x 13 pan with cooking spray and add the egg mixture. Bake in the preheated oven for 10-12 minutes or until partially set. Meanwhile, heat the remaining 1 tablespoon of prepared pesto and the tablespoon of olive oil in the fry pan over medium heat until the pesto is just melted. Then add the asparagus and cook until it is bright green (about three minutes). Pull the pan out of the oven with the partially set egg mixture and place the asparagus side by side in the pan. Return to the oven and bake until set for about 7-8 minutes (and a toothpick in the center comes out clean.) Remove from the oven and sprinkle with remaining 1/2 cup of cheese and return to the oven for a few more minutes until melted. Serve with salsa if desired. 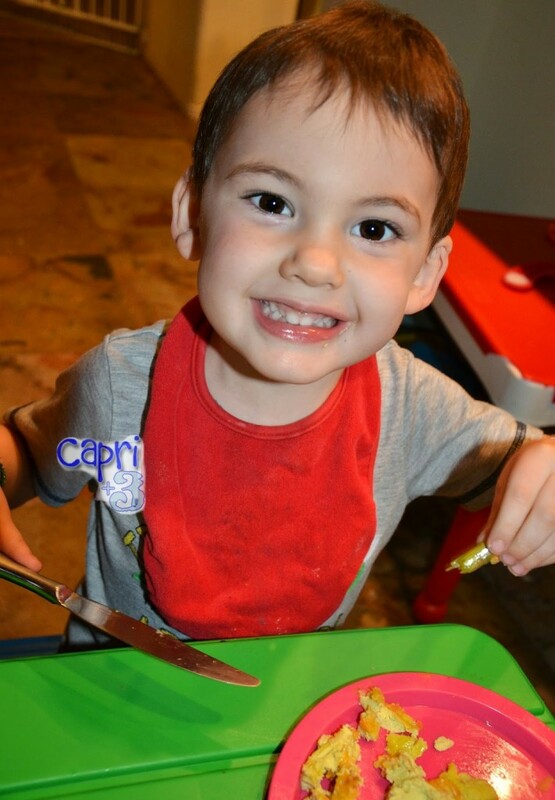 Ryder loves asparagus and ate all of it first. We are glad the Sugar Snaps are so taken with asparagus. When our zucchini from the garden is ready this year, I will try the same dish with thin rounds of zucchini on the top.